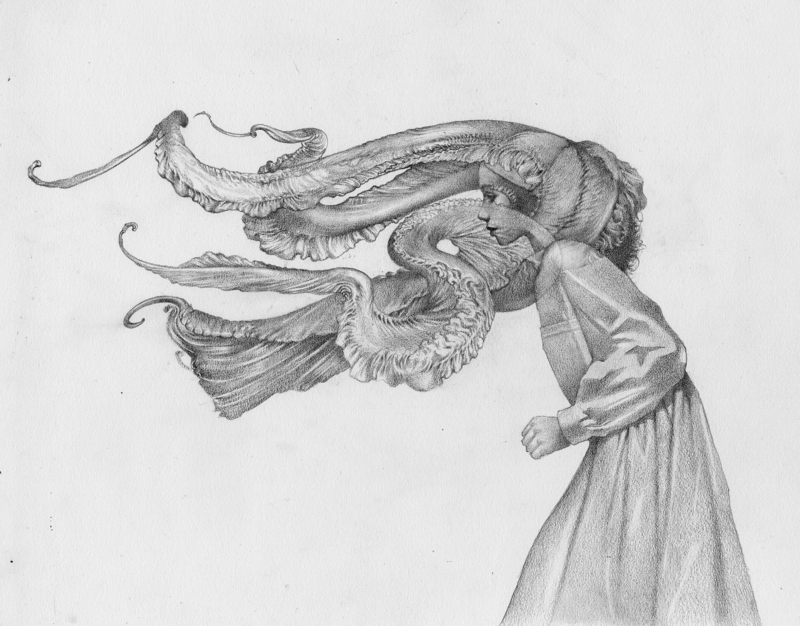 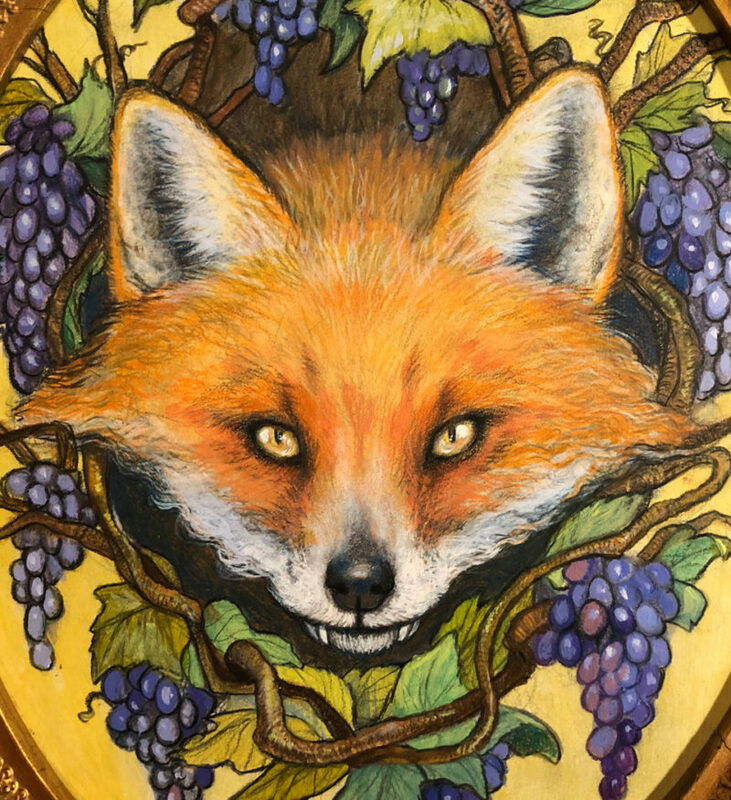 I loved when my dad would read Aesop’s fables to me as a kid. 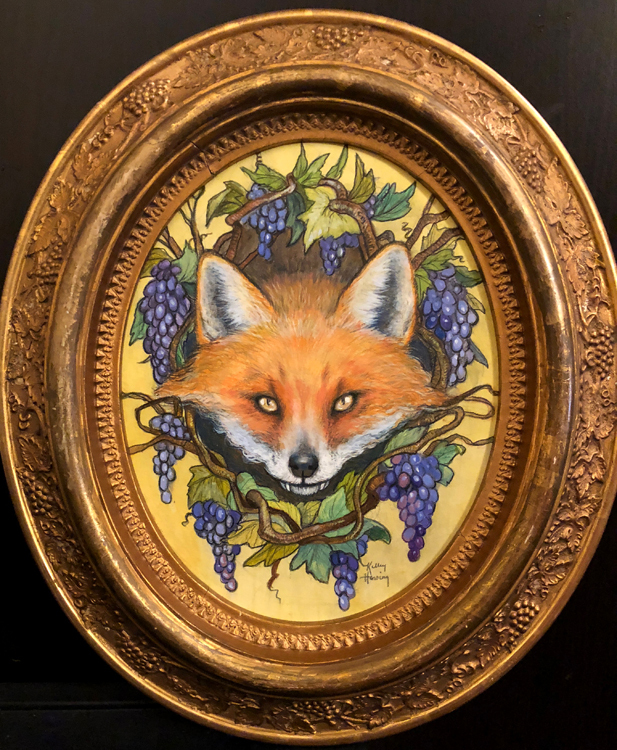 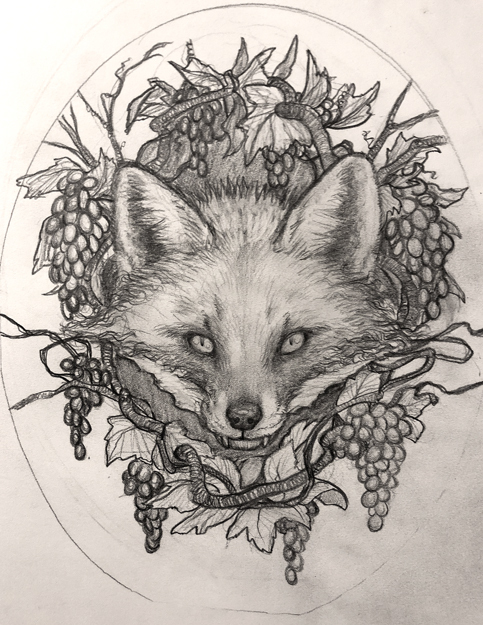 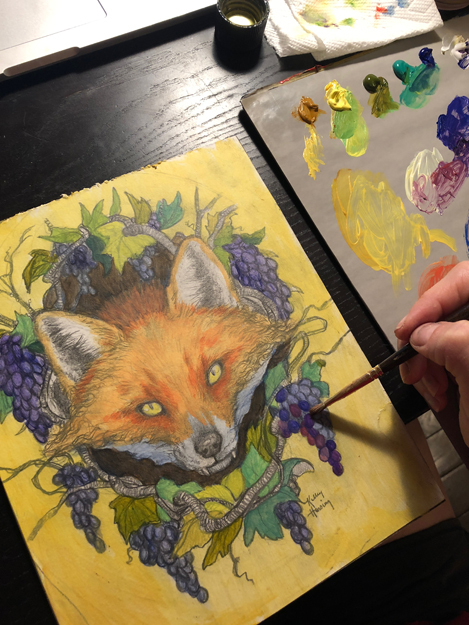 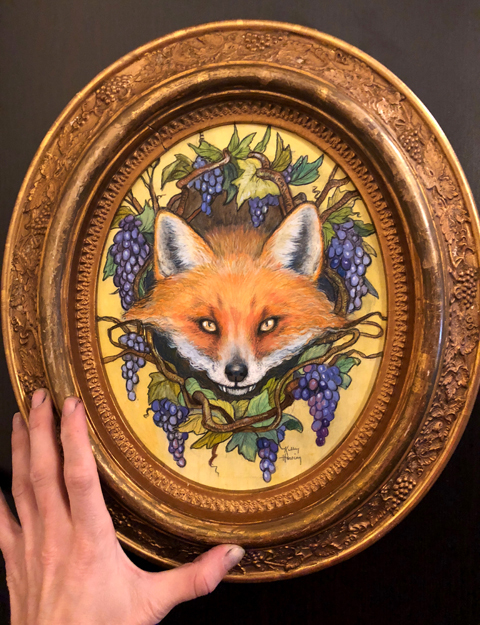 This piece is inspired from one of my favorites, “The Fox and the Grapes”. 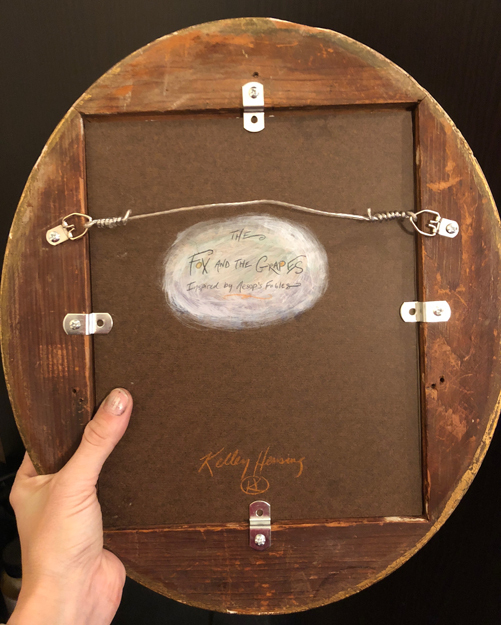 The vintage frame was a great find, from an antique shop during travels to Vermont. 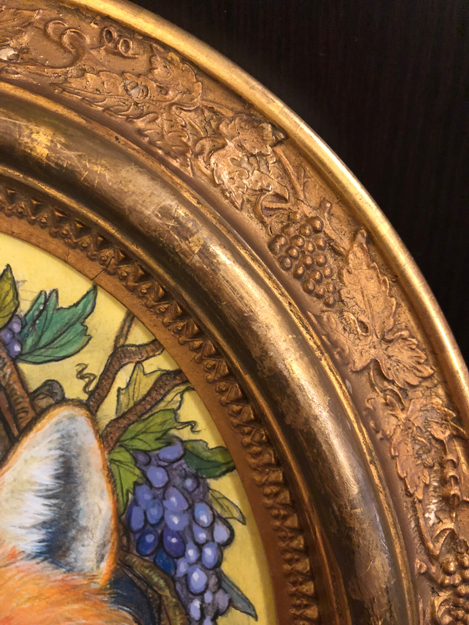 There are a few cracks but it’s solid wood, painted gold, and embellished with little grapes and leaves.